This drive includes a "Power Disable" feature which allows the host system to easily power cycle the drive to perform a hard reset. Ensure that your system will support this feature. Please reference the following tech brief for more information: https://www.hgst.com/sites/default/files/resources/HGST-Power-Disable-Pin-TB.pdf Laying the foundation for a worry-free data center, HGST delivers an exceptional capacity hard drive in the industry, the Ultrastar He10. Designed to handle workloads up to 550TB per year, the He10 uses PMR technology and is the industry's first 10TB drive that is drop-in ready for any enterprise-capacity application or environment. Based on field proven, third-generation HelioSeal technology, it offers the lowest power profile in the industry to help data center architects meet eco-environmental goals and requirements. 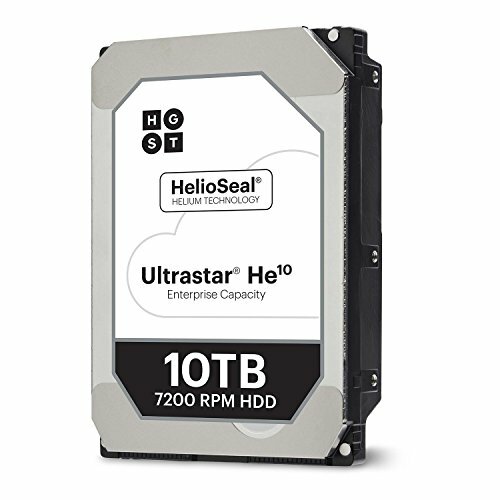 Targeted at 2.5M hours MTBF, the He10 provides the highest reliability rating available of all HDDs on the market today by building on the successful design of its 8TB and 6TB predecessors. Trust HGST and Ultrastar He10 to deliver more capacity, more efficiency, more reliability and more value to your data center.